When it comes to any chassis, there are millions of ways to assemble it. The number of parts and pieces available to tailor a car to your liking is endless, but sometimes, we find ourselves falling back on the simplest of solutions. 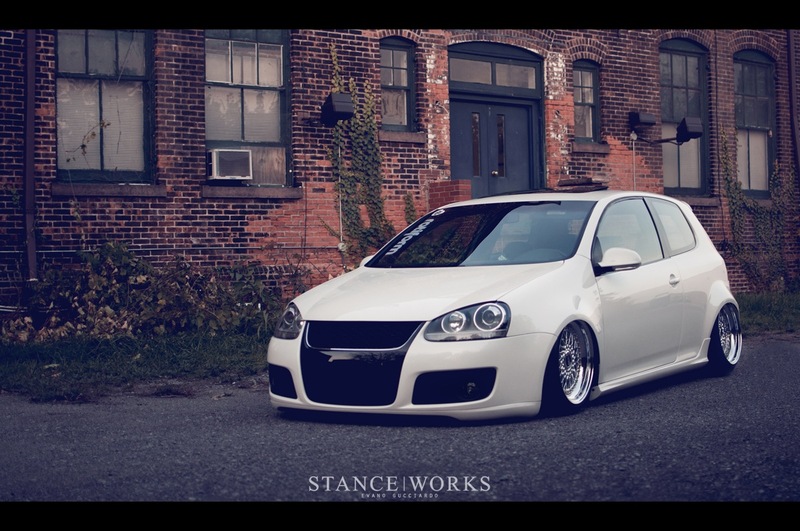 The "MKV + Air ride + RS" combination is one that has been done more times than anyone cares to admit, but it has been done with unquestionably good reason: It works well. It is exemplary of doing something the right way. However, with so many cars that so closely resemble each other, it's hard to stand out from the pack. But someone has done just that. Jason Morabito has taken the path most travelled, but he has managed to leave some footprints, and they won't be fading away any time soon. 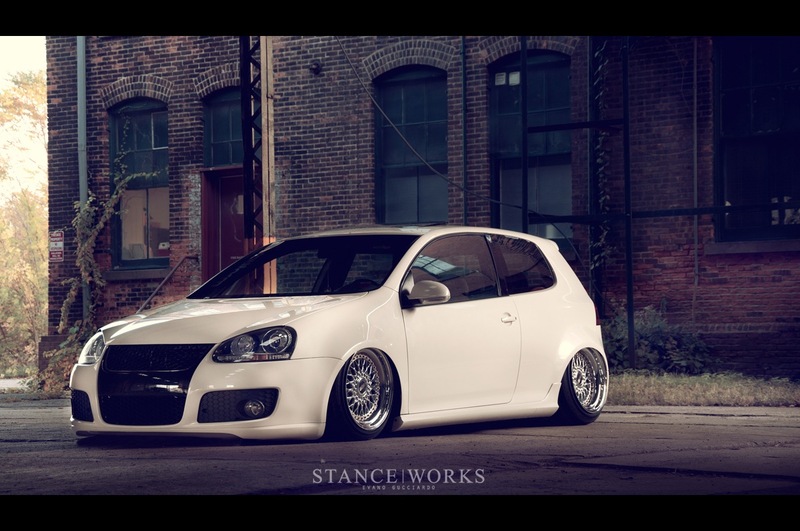 He has, in our eyes, laid new groundwork for the MK5 chassis. He's done so by taking a tried and true style and giving it his own spin. It demonstrates quite well that the magic of a build is often in the details. Jason's car, on paper, is run of the mill. But just one glimpse and you know that things aren't quite what they seem. Jason bought his GTI brand new in January of 2010. 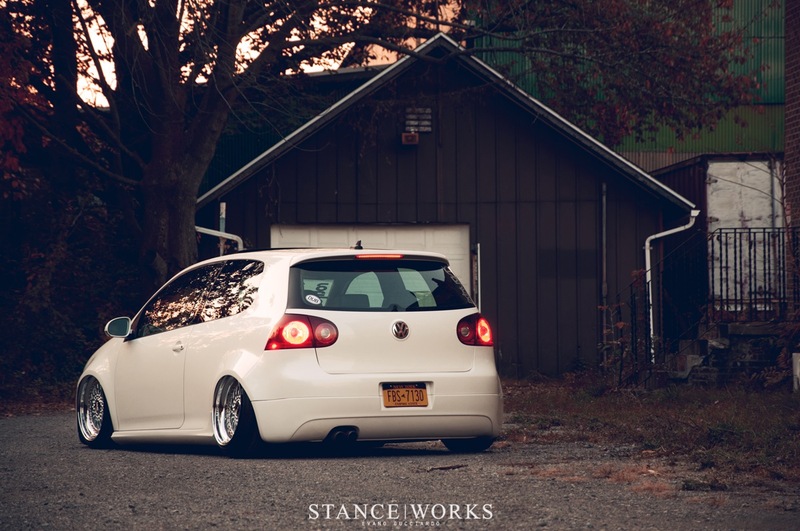 With no love for the MK6, he bought the last new MK5 available in the NorthEast. By H2Oi 2010, only 9 months later, the car had been bagged and was sitting on custom Rotiform wheels, the first of their kind. To put it simply, Jason was working rather quickly. Most guys might say he had the "essentials" covered. For Jason; however, this was just the start. Most are not willing to tear down their brand new car, but then again, Jason isn't quite like most guys. Jason took the car down the chassis and resprayed the car from its original United Grey to "Flex Pearl White". The glossy paint covers a one-off set of custom arches, and if the car were a girl, she'd tell you "they're real." 100% metal. Jason skipped the fiberglassing nonsense and did it right the first time around. He also shaved the front bumper, and the door strips, and to ice the cake, went with a custom urethane rear bumper, all of which are what make up the details that put his car in a league of its own. 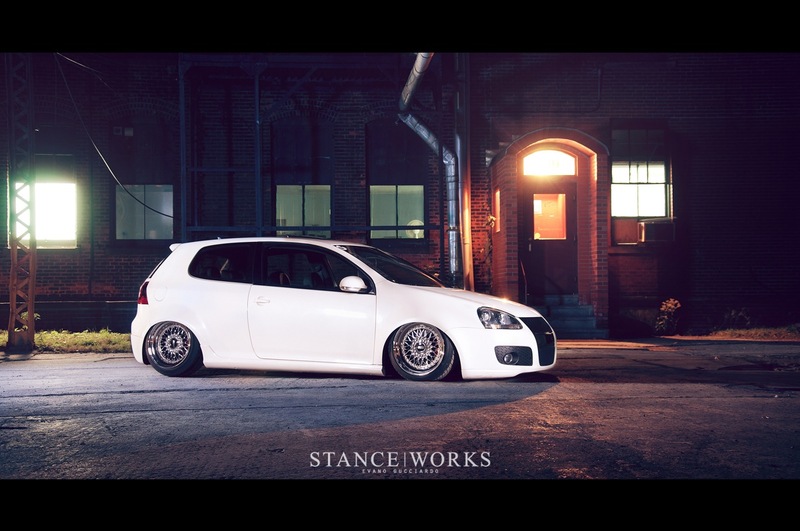 To fill the voluptuous and curvy new body, Jason contacted the boys at Rotiform to go all-out on his RSs. He milled the backpads to raise the initial offset so he could run larger lips, and then had them widened out to 9.5s in the front and 10.5s out back with bubble lips and forged barrels. Flat caps and 24k gold hardware finish off what are unequivocally some of the nicest RSs out there. Airlift struts and Accuair management squeeze the w i d e wheels up into the bodywork and gracefully set the car on the ground. Jason's a diehard Euro guy. It began with E36 M3s, and in a change I could never make sense of, he found his way in to the world of VolksWagens. The bug bit him after buying a 2005.5 Jetta he promised himself he would keep stock. It suppose after promises like that, it's no surprise that he's now building VWs that leave the rest of us stunned. 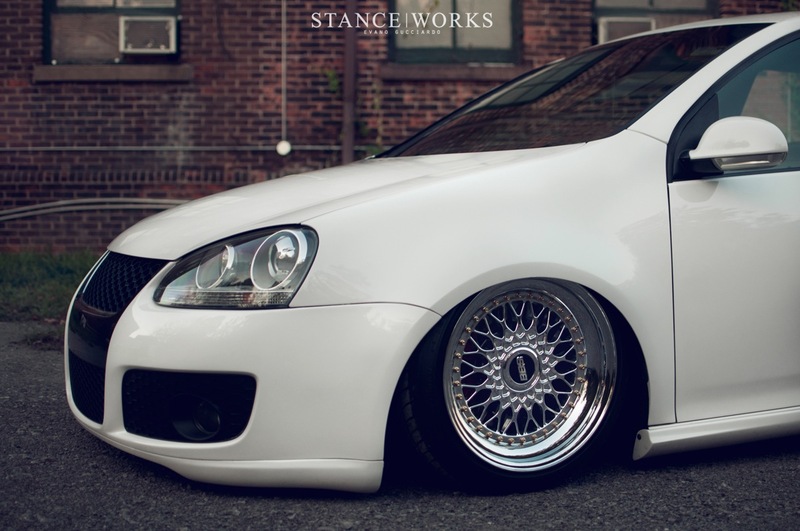 It's hard to differentiate yourself from others, especially when choosing parts so many others have, despite how good they may look- but next time you hear the someone utter the phrase "The bagged MKV on RSs" hopefully you'll know which they're taling about. Comments on The MKV on RSs.